Some like the "antiqued" look. But you probably don't want YOUR sword to end up like this..
A lot of beginners can get overwhelmed by how to care for their new sword -indeed it can be a lot like navigating a maze of conflicting information. For example, a lot of sword selling sites recommend using WD-40 to protect your sword from rust. Yet most experienced collectors would say this is a very bad choice.. ...I can understand why so many beginners get confused! 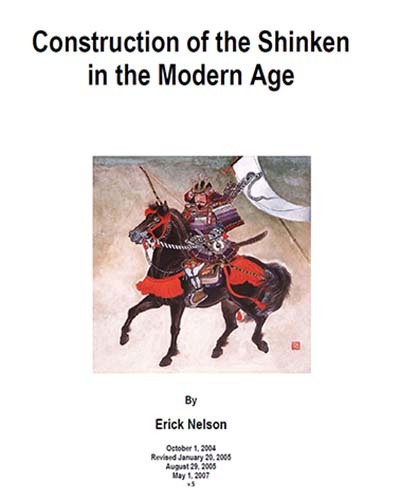 The reality is that each person in time finds their own personal favorite sword care methods depending on the type of sword, how they use it, the climate they live in and a whole host of other factors. The only good point of stainless steel ornamental swords is that they don't generally rust, so all you need to clean them up is a bit of Windex and a cloth. Functional swords however use carbon or spring steel, and as such, they are prone to rust. As such, sword manufacturers need to coat the blades with copious amounts of grease to prevent rust while the sword is warehoused and protect it during transit. Naturally, the first thing you will want to do is clean this gunk off so you can take a good look at the blade. You can do this with a lint free white cloth and some rubbing alcohol. Take your time and be careful not to cut yourself! (most sword related injuries occur during cleaning and maintenance, so turn OFF the TV and focus on what you are doing - one slip and you could be making an unexpected trip to the emergency department!). Sometimes the grease ends up in the sheathe, but it will go away with time - or if you want to speed up the process, sticking a rifle cleaning rod in the sheathe can do wonders. Beginners can often get rather flustered by contradictory recommendations for WHAT oil to use for rust prevention.. But the truth is, it actually doesn't matter - all that matters is that that the sword has a light, fine sheeny layer of oil on it at ALL TIMES. The last option, sword oil, is supposedly oil made specifically for swords by the sword manufacturers themselves such as Hanwei Sword Oil or Windlass Rustblocker. Personally, I don't think these products are necessary - Hanwei sword oil often doesn't spray properly (the nozzles get blocked) and Windlass Rustblocker doesn't always block rust - so the key is, just use whatever is readily available to you and, at least until you have a feel for it, check the sword regularly to make sure the oil isn't drying up and is doing it's job. How often you need to oil your sword depends on your climate. In most temperate climates once a month seems to be enough - but if where you live is very humid, you may need to oil your swords weekly. Naturally enough if you live in a particularly humid climate or need to put your swords into storage for any length of time, you'll want to look at some other options..
One easy way to 're-grease' your blade is to coat it liberally with petroleum jelly (Vaseline), wrap it in some oily rags and keep it in a cool, dry place. Another popular alternative is a product known as 'Renaissance Wax'. The great thing about renaissance wax is that this stuff actually works (it was developed by the British Museum in the 1950s) and as a little goes a LOOONG way is also very affordable (you can pick it up here at Kult of Athena for as little as $16 a tin). To use it, simply apply a very small amount to a lint free cloth and it dries hard, protecting against fingerprints and rust for years (unless you use the sword of course). To remove it, simply do the old rubbing alcohol trick and a cloth. And the best part is, you can also use it on leather and other fittings (especially handy on pommels, etc) - HIGHLY RECOMMENDED. It's par for the course that if you use a sword for cutting exercises, its going to get a few minor scratches here and there. 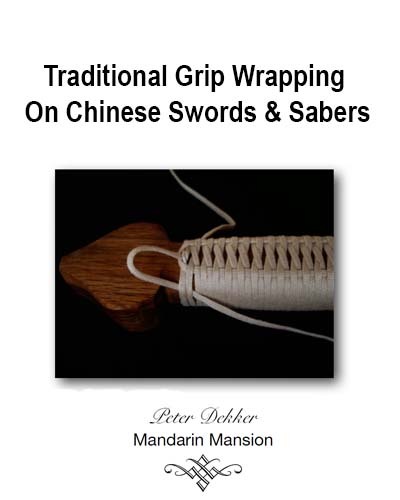 There are several sword care methods for removing scratches depending on how deep they are  and I cover the main method for deep scratches in my free ebook sword care and maintenance 101 (see below). Don't Leave your sword in a leather scabbard for long periods of time. Wooden scabbards are ok (as long as they are only lightly oiled, or the oil will cause the wooden scabbard to swell), but a leather scabbard will trap moisture and cause nasty rust spots on the blade. In general, avoid touching the blade with your fingers as the acid from your fingertips can etch into carbon steel over time. Wooden handles should be treated with a light coating of lemon or tung oil to help prevent cracking. Leather scabbards, sheaths and covered handles should be treated with a good leather paste wax. The scabbard can also be treated with neatsfoot or mink oil for waterproofing, although this is not recommended for the handle as it is slippery. Avoid contacting oil onto any leather parts of the sword as it will cause the leather to rot very quickly. It's no fluff and filler, straight to the point information on how to keep your swords in tip top condition. And best of all, it's 100% FREE! What's YOUR sword care tip? Do you have some tips on sharpening, cleaning, oiling or polishing a sword that isn't covered here? Share it! Mineral oil twice a year is good. Corrosion management in a salty environment. New Blades-What not to do! gun polish!!! and a nintendo ds cleaning cloth. 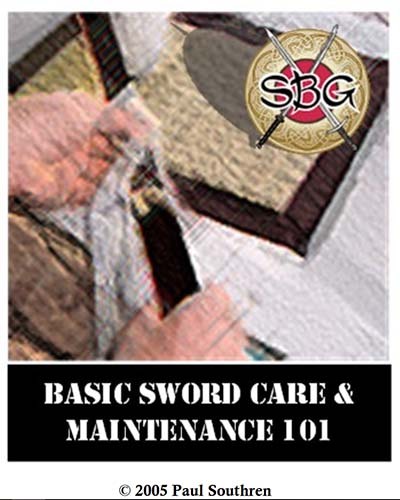 I hope this information on basic sword care has been helpful. 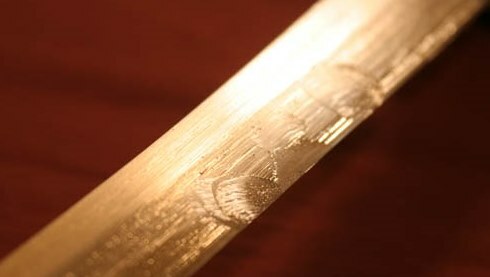 Click here to return to Sword-Buyers-Guide.com's homepage from Navigating Sword Care Maze.